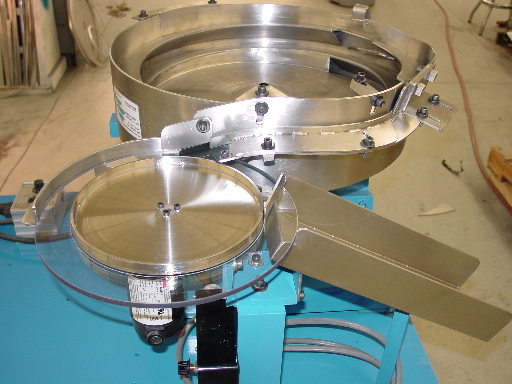 This is a closeup of the vision inspection system as pictured below. 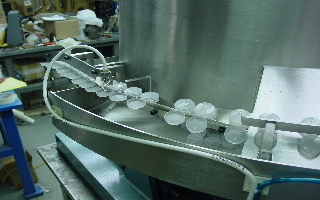 This is a nut vision system feeding nuts from #00-.500 inches, looking at both the top and bottom, and selecting non conforming parts out. 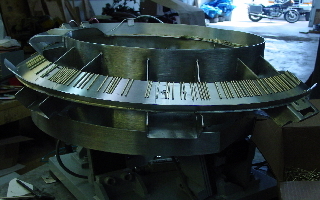 This 24 inch diameter feeder feeds headed parts for sorting into 7 different areas for length sorting. 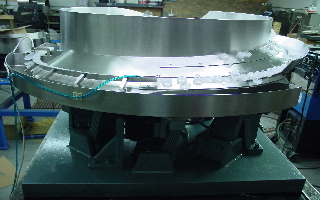 Below are several pictures of a high speed cap feeder, feeding 6 different styles of caps at over 300 parts per minute. 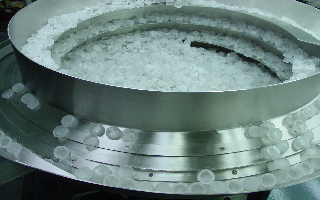 Constructed to exceed food grade standards. 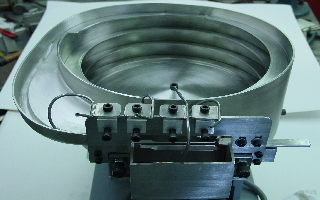 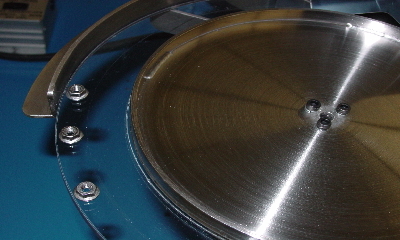 This is an 8 inch diameter headed part Feeder, capable of feeding headed parts from 0.0-.375 inches in diameter up to 2 inches in length up to and exceeding 3,000 parts per minute. 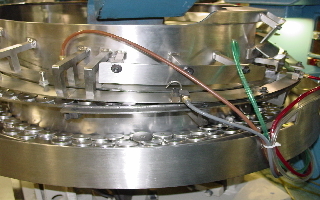 This is a 24 inch Assembly Feeder feeding 2 styles of studs into a washer, which is then fed to a roll threading machine to roll threads onto the stud, captivating the washer onto the stud.